The IDEA Competition is an annual competition that looks for, and recognizes, the best business ideas. It started in 2008 as an offshoot of Ingenuity Frontier, a regional effort to grow the economy. Between 2008 and 2016, I helped to lead the IDEA partners through design and two subsequent refinements of the project. A couple of years ago, I designed the IDEA website. 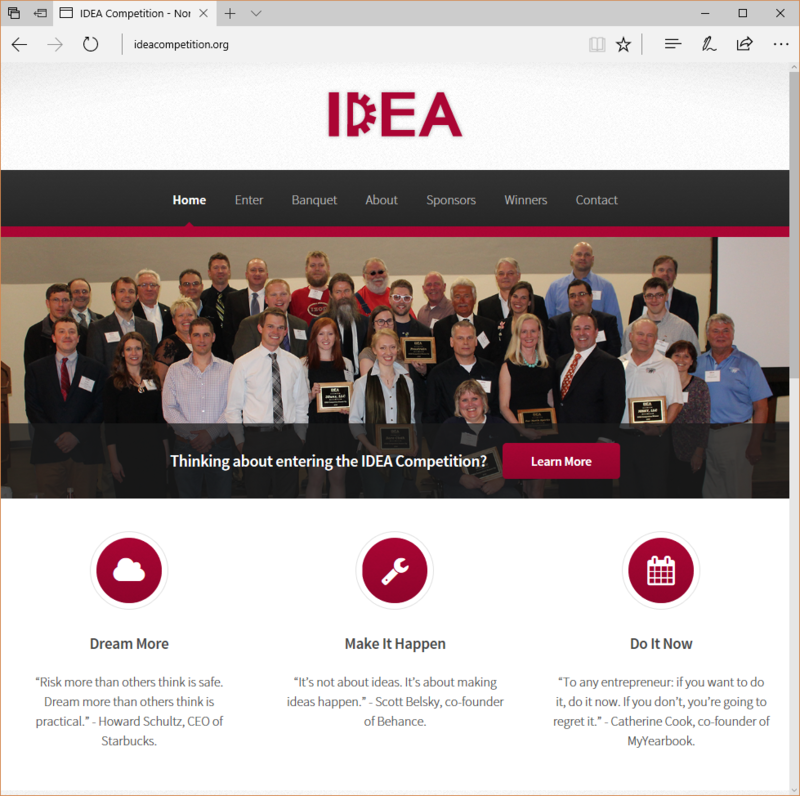 The website is the public gateway to all of the information about IDEA: the purpose, the process, and the history. It contains videos, a contact form, social media integration, and links to the online application portal.